out Carriages. He made a fortune. Five years later, they settled on Avenue d’Ivry and took a third associate, a class mate Emile Levassor. Besides wood-workingtools , the firm started making gas-engines under licence from Ottoand Lange in1876. Ten years later heavy-oil engines were added under licence from Daimler. After the death of Périn, the firm took the name of Panhard and Levassor and in 1888, nine of these engines were installed in horseless vehicles. In 1891, after a series of successful adjustments and trials on road, René Panhard and Emile Levassor were encouraged to start manufacturing and selling the first standard model cars in the world. The oldest trade mark achieved great success in car races, especially Paris-Bordeaux-Paris in 1895, and in 1900, it was still the most important car-manufacturer and exporter in the world. After Levassor’s death in 1897, René Panhard opened up the capital of his firm and Arthur Krebs became its manager. The latter, whoremained at the head of the firm till 1915, helped to consolidate its reputation for genuine quality, its financial foundation and the position of its top-range models, especially with the choice of valveless engines which were going to equip all the cars till 1939. 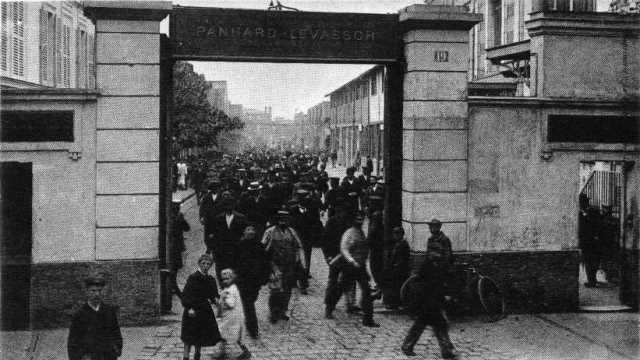 In 1915 Paul Panhard, René’s nephew, took command of the firm. From then until 1919 the firm took an active part in the war effort. 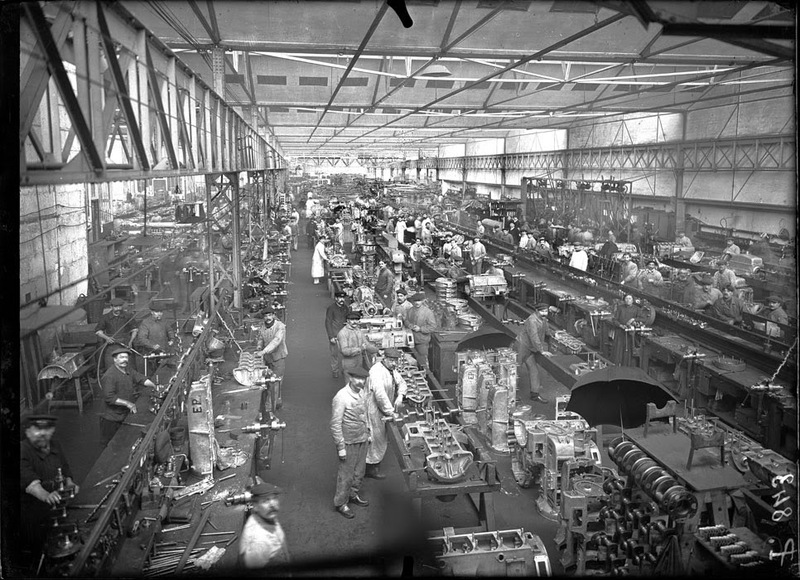 After the war, the firm, located at Avenue d’Ivry, maintained its traditions which had made it successful: a production of ten cars a day or so, valveless engines and luxury and sports cars often withcustomised coach-work. It added the manufacturing of petrol, diesel or gas-producing lorries, rail-cars and aero engines and a few lightlyarmoured vehicles for the Army. They also maintained the productionof tool machines for working wood. By doing so, the company failedto make more popular cars, unlike its three rivals, Renault, Citroën and Peugeot, whose mass production represented three quarters ofthe touring cars produced in France. In the twenties, the Panhard cars were equipped with 4,6 and 8cylinder engines of 10 to 35 HP. In the thirties appeared the 6-CS, 6DS and the 8-DS engines with 6 and 8 cylinders of 13 to 29 HP. Then, in 1933, the Panoramique and finally in 1936 the Dynamic, whichhad beendesigned by Louis Delagarde for the mechanical part and by Louis Bionier for the coach-body; both men being responsible for the production of beautiful cars, as well as winning world records in closed-circuit races with machines driven by Eyston and Ortmans. But the consequences of the world crisis which was reaching Francefrom 1932, together with the increase in financial charges in 1936, puta heavy burden on Panhard & Levassor. After a strike in November 1936 the firm was nearly ruined and it had to move to a new strategic business plan where the stake markets (machine-gun cars, military lorries, buses for transport in Paris and the provinces, and engines for the National railways) ensured the main part of its activities, while only 3 touring cars were produced a day. The old firm’s winning cards remained considerable : ample and qualified workers, important industrial assets in Paris, Reims and Orléans, a group of faithful customers, a strong trade-mark imageand the arrival in 1937 of Jean Panhard, a young polytechnician,ready to help his father Paul. However Panhard & Levassor were toundergo the trial of the Second World War in rather difficult conditions.